A robot deceives an enemy soldier by creating a false trail and hiding so that it will not be caught. While this sounds like a scene from one of the Terminator movies, it’s actually the scenario of an experiment conducted by researchers at the Georgia Institute of Technology as part of what is believed to be the first detailed examination of robot deception. We have developed algorithms that allow a robot to determine whether it should deceive a human or other intelligent machine and we have designed techniques that help the robot select the best deceptive strategy to reduce its chance of being discovered,” said Ronald Arkin, a Regents professor in the Georgia Tech School of Interactive Computing. The results of robot experiments and theoretical and cognitive deception modeling were published online on September 3 in the International Journal of Social Robotics. Because the researchers explored the phenomenon of robot deception from a general perspective, the study’s results apply to robot-robot and human-robot interactions. This research was funded by the Office of Naval Research. “Most social robots will probably rarely use deception, but it’s still an important tool in the robot’s interactive arsenal because robots that recognize the need for deception have advantages in terms of outcome compared to robots that do not recognize the need for deception,” said the study’s co-author, Alan Wagner, a research engineer at the Georgia Tech Research Institute. 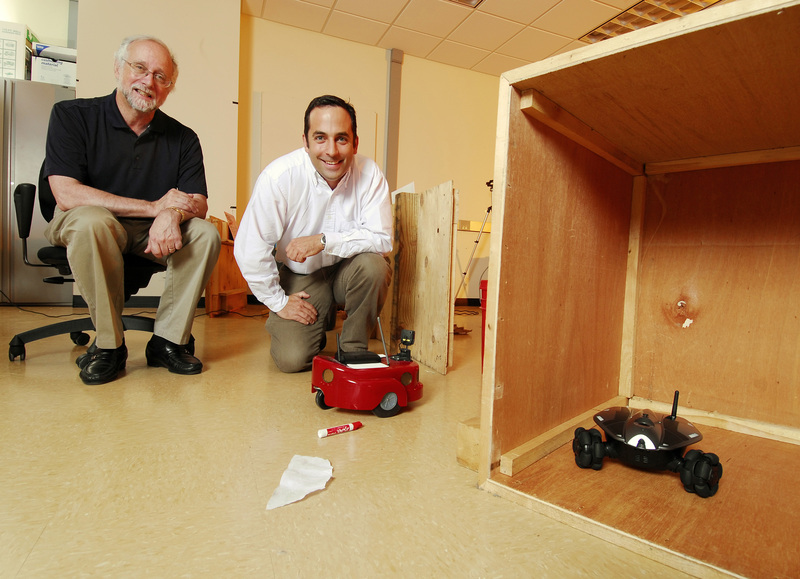 For this study, the researchers focused on the actions, beliefs and communications of a robot attempting to hide from another robot to develop programs that successfully produced deceptive behavior. Their first step was to teach the deceiving robot how to recognize a situation that warranted the use of deception. Wagner and Arkin used interdependence theory and game theory to develop algorithms that tested the value of deception in a specific situation. A situation had to satisfy two key conditions to warrant deception — there must be conflict between the deceiving robot and the seeker, and the deceiver must benefit from the deception. Once a situation was deemed to warrant deception, the robot carried out a deceptive act by providing a false communication to benefit itself. The technique developed by the Georgia Tech researchers based a robot’s deceptive action selection on its understanding of the individual robot it was attempting to deceive. “The hider’s set of false communications was defined by selecting a pattern of knocked over markers that indicated a false hiding position in an attempt to say, for example, that it was going to the right and then actually go to the left,” explained Wagner. While there may be advantages to creating robots with the capacity for deception, there are also ethical implications that need to be considered to ensure that these creations are consistent with the overall expectations and well-being of society, according to the researchers. 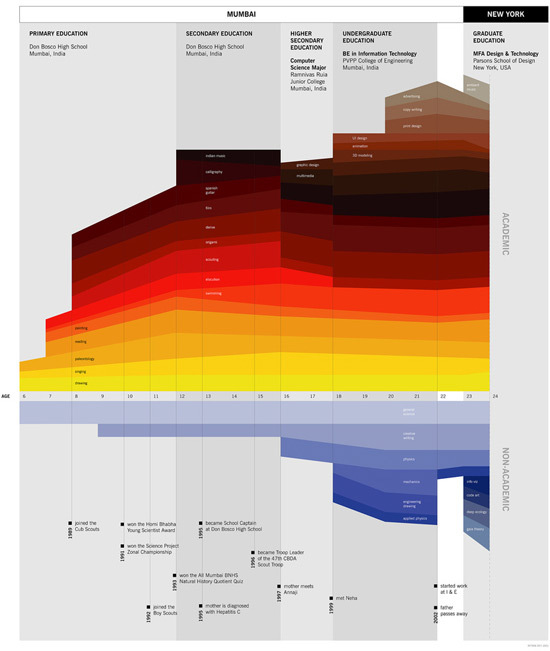 Dataflow 2 is a collection of the latest data visualizations and information graphics sprouting from the fledgling infoviz scene. 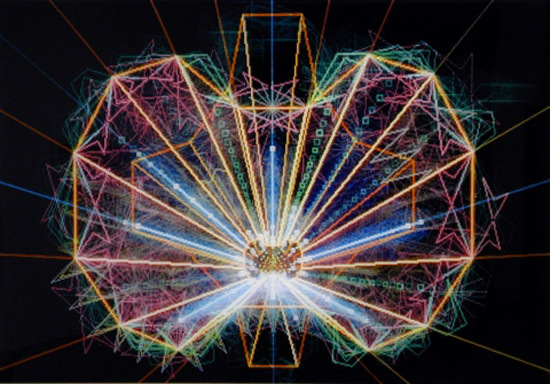 Everything’s here: computational art, newspaper infographics, academic spidergrams. Although there is a strange absence of work from Information Is Beautiful. Grump! Nevertheless, it’s a generous pie-slice of interesting and intriguing and WTF? work from international designers big and small. All large-printed on lovely shiny paper. Worth a look. You can order it on Amazon US and UK. DataFlow 1 is also a seminal collection (US | UK). Here are a few of my favourites from the book. N.B. Her visualisation of the hidden paths of amusement park rides are also pretty wow too. 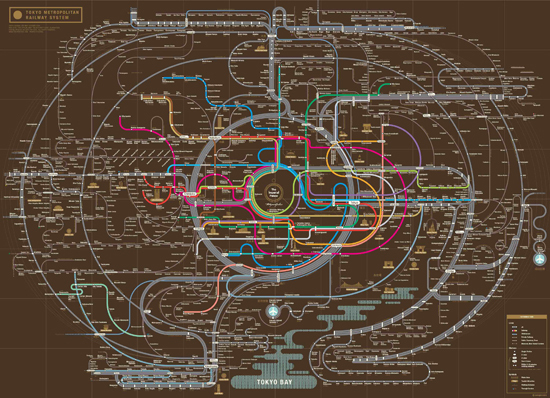 They’ve recently just re-envisioned the London Underground map too. I really like the work of this German infographic design outfit, especially when they pare it all down to the essentials. 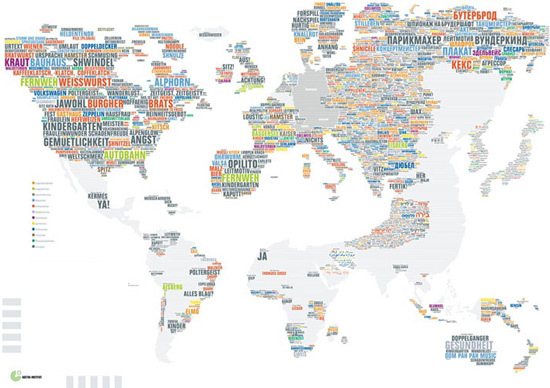 This graphic of exported German words used around the world exemplifies their awesome-ness. Other work for German newspaper Die Zeit ist wunderbar also. This is old but gold. Information designer Ritwik Dey decided to make his life look beautiful and visualised his CV. 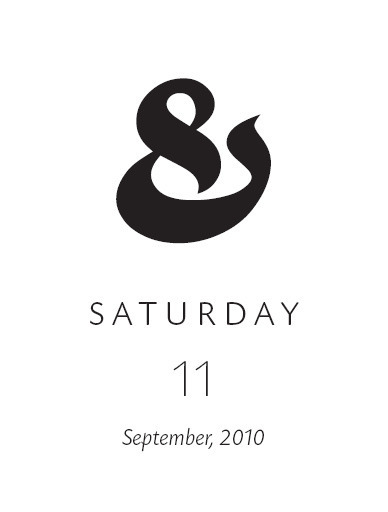 Four years later it’s still a stunning piece of info design. If you’re intrigued by DataFlow 2 you can order it on Amazon US and UK. 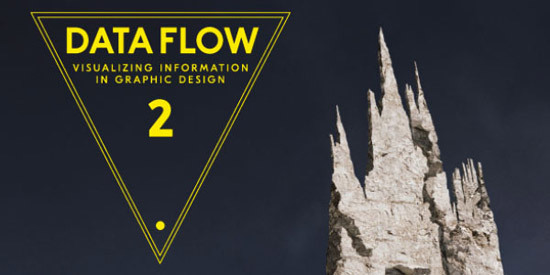 DataFlow 1 is also a seminal collection (US | UK).